Data shows that today’s generation is much more likely to believe user-generated stories and content compared to government organizations (like the CDC), however, statistics show that serious injuries occur to fewer than 1 in a million children, or even 1 in 10 million or 100 million, depending on the vaccine and the side effect ². In the United States, at least 79 cases of measles have been reported this year (2019). Measles has been confirmed in ten different states. The states that have reported cases to Centers for Disease Control and Prevention (CDC) are California, Colorado, Connecticut, Georgia, Illinois, New Jersey, New York, Oregon, Texas, and Washington. Measles outbreaks are directly related to an increase in the number of travelers who get measles abroad and bring it into the U.S., and/or further spread of measles in U.S. communities with pockets of unvaccinated people ³. Measles was declared eliminated in the United States in 2000, and endemic and epidemic pertussis has been at the lowest point in US history since 1977. Although in recent years, there has been outbreaks of both measles and pertussis ³.
Clinicians must be prepared to answer difficult questions from concerned parents when it comes to their child’s vaccinations. Below are some commonly asked questions, found circulating on Facebook, from skeptical parents. 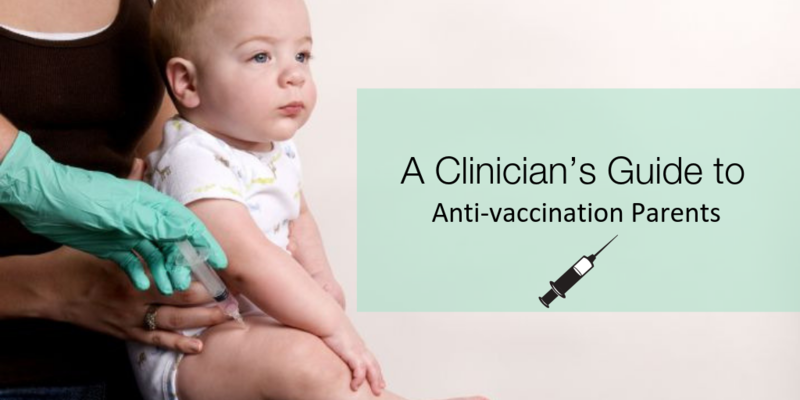 In our most recent guide, we address six of the most commonly asked questions which come from concerned parents who are hesitant to vaccinate their children. Download the guide at the link below. Is Vaccine Refusal Leading to Preventable Disease Outbreaks?